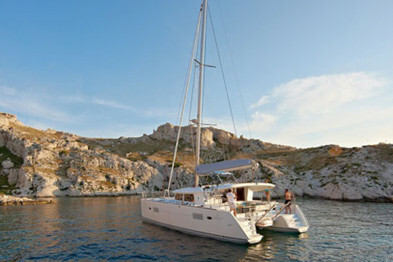 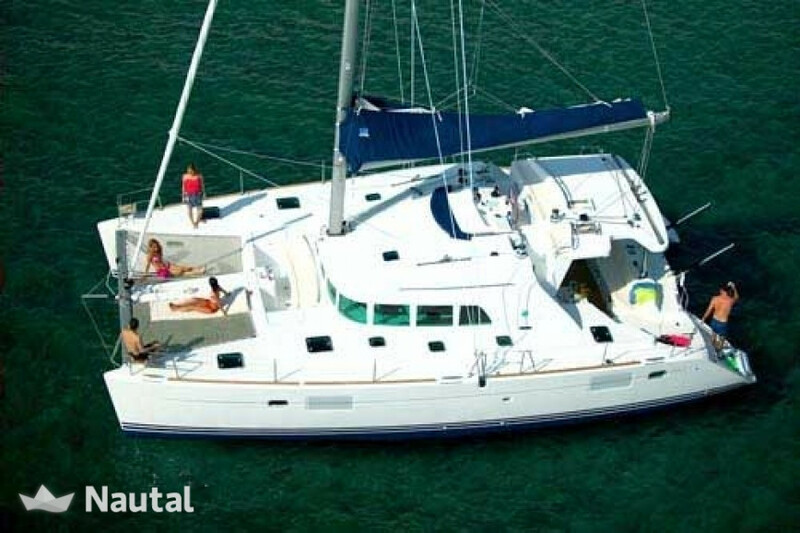 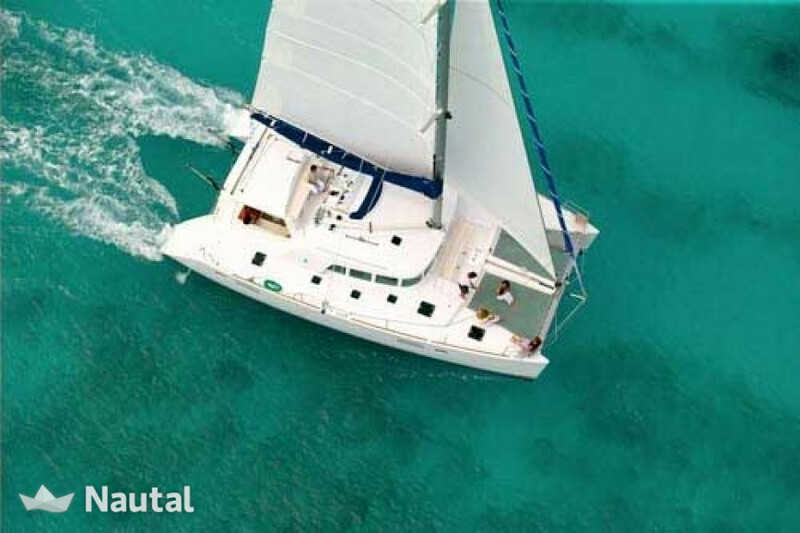 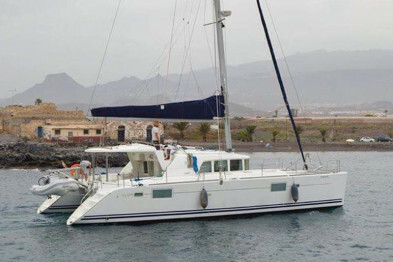 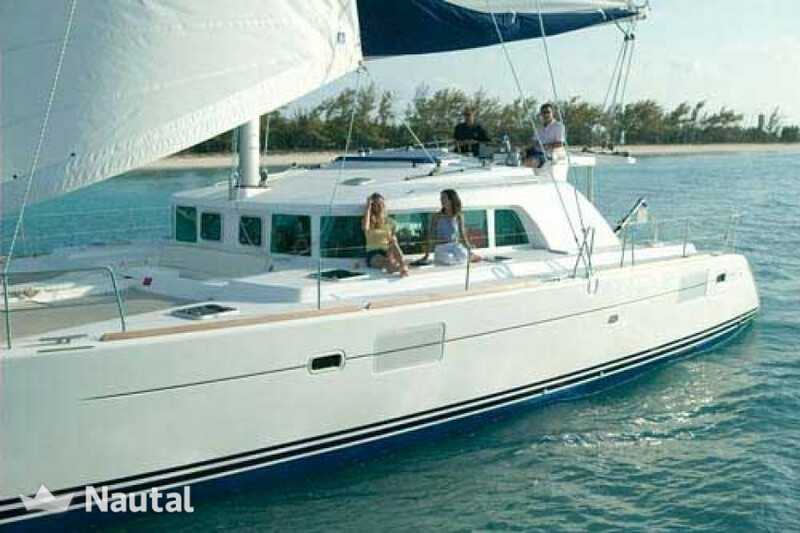 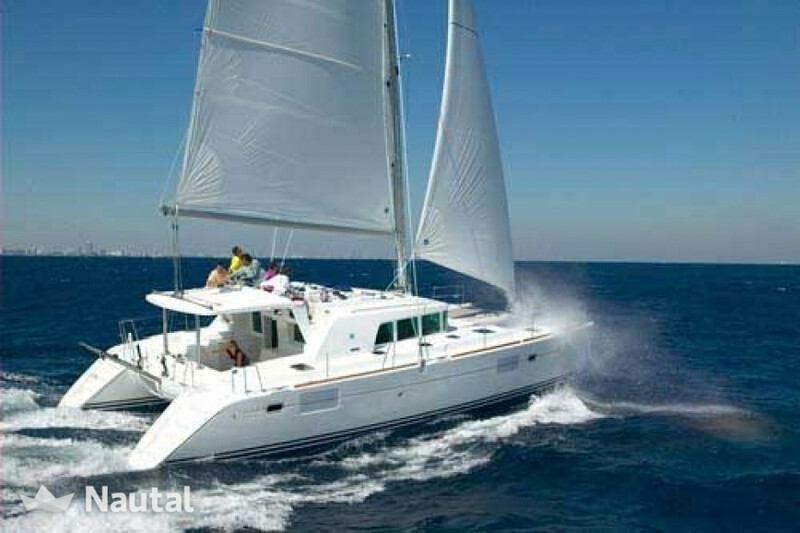 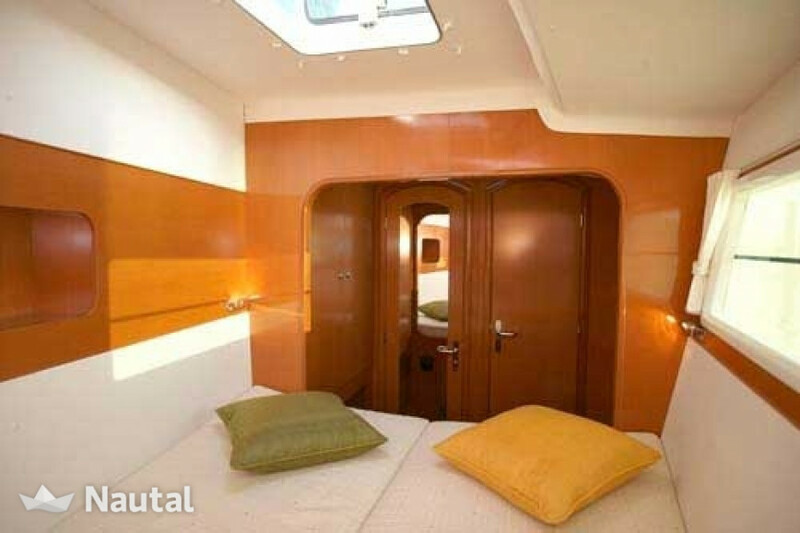 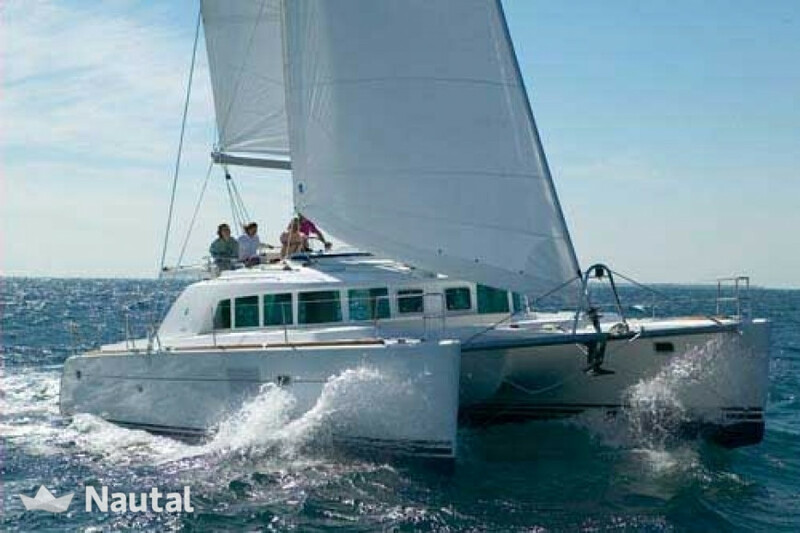 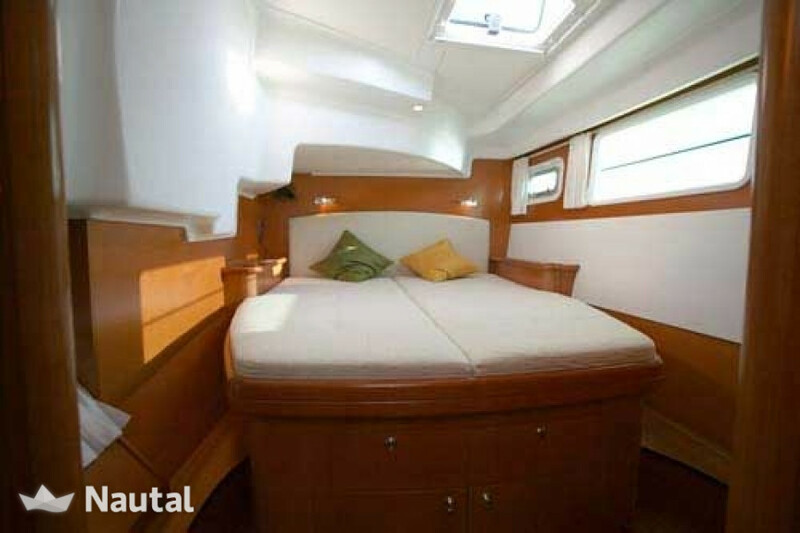 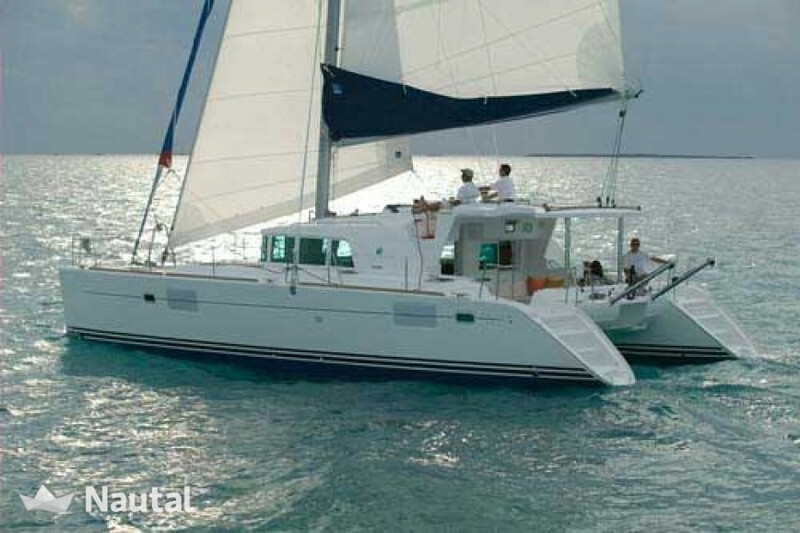 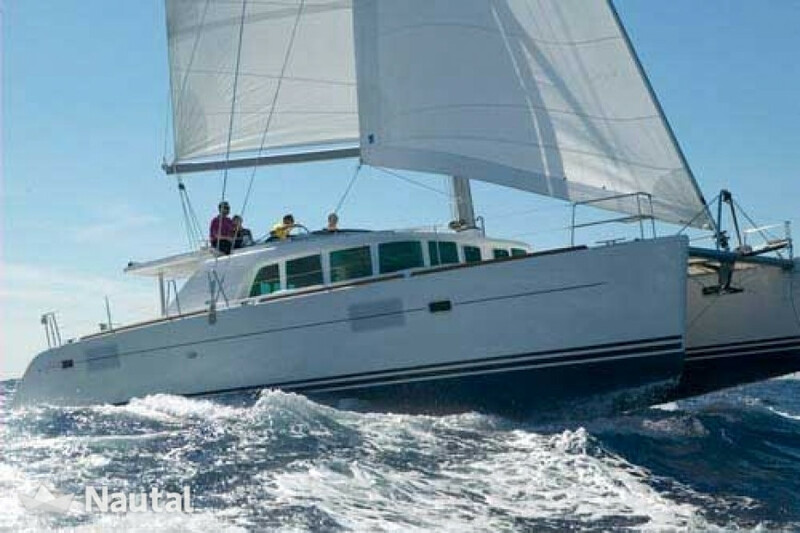 Rent this beautiful catamaran 14 meters long. 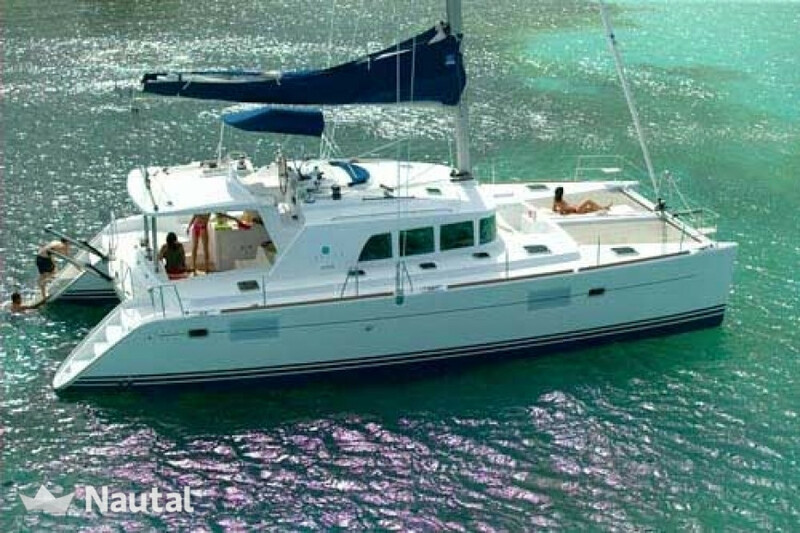 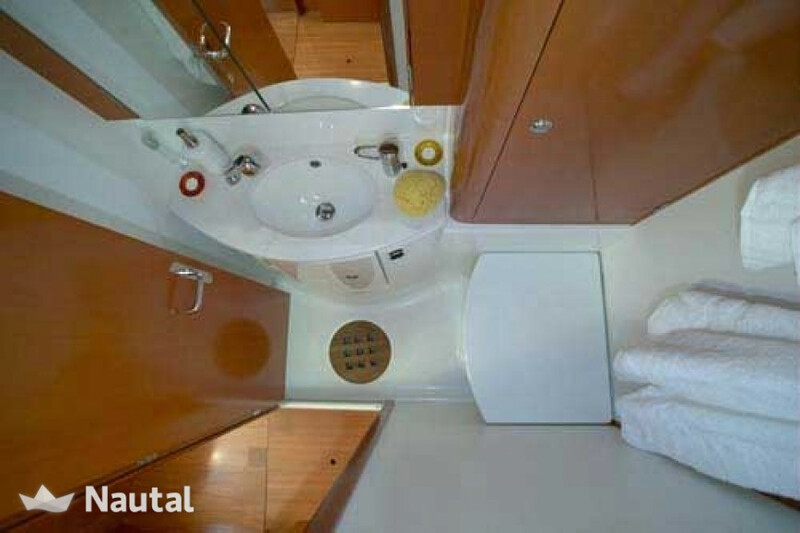 Accommodates 10 people + standard day and has 6 cabins and 4 bathrooms that allows overnight to a total of 11 people. 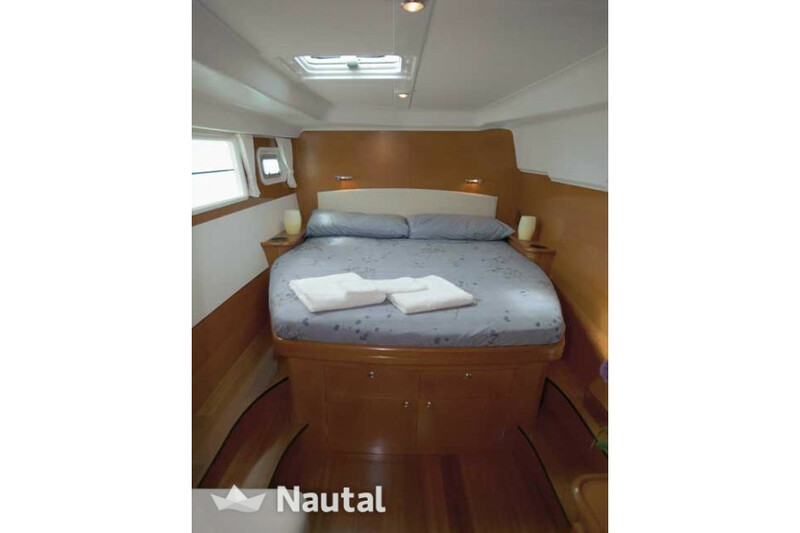 It is a very comfortable and stable boat in navigation. 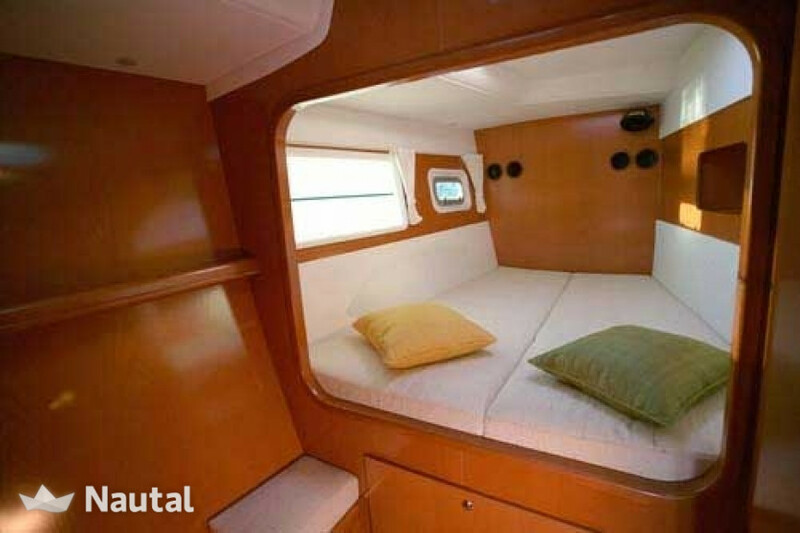 It is also equipped with everything necessary to ensure maximum comfort on board. 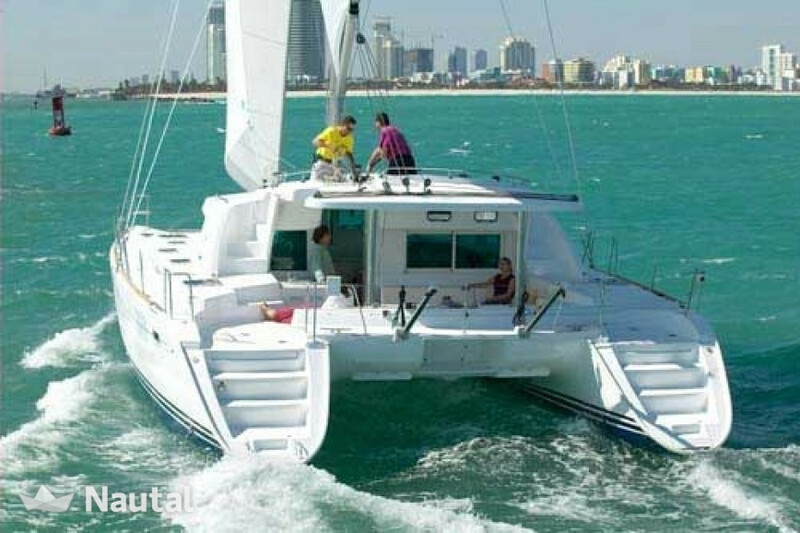 It has a very balanced aerofoil which gives a lot of control and smoothness during navigation. 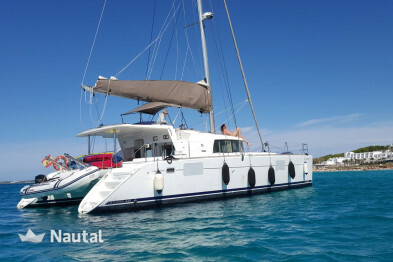 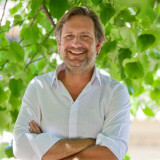 It is a good choice for those who want to spend a few days relaxing with family or friends. 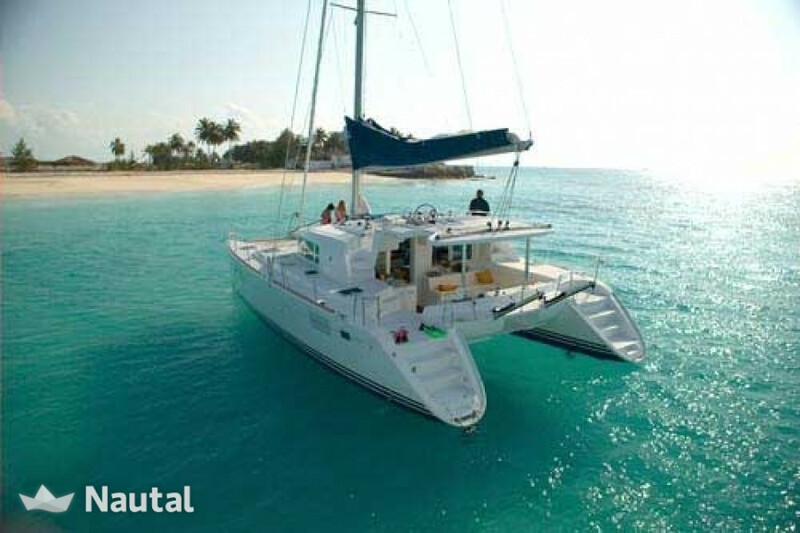 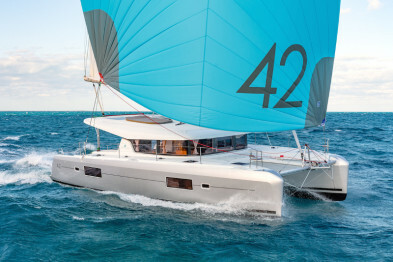 Compared to the boat, the catamaran has two hulls that give great stability and high security in any kind of weather. 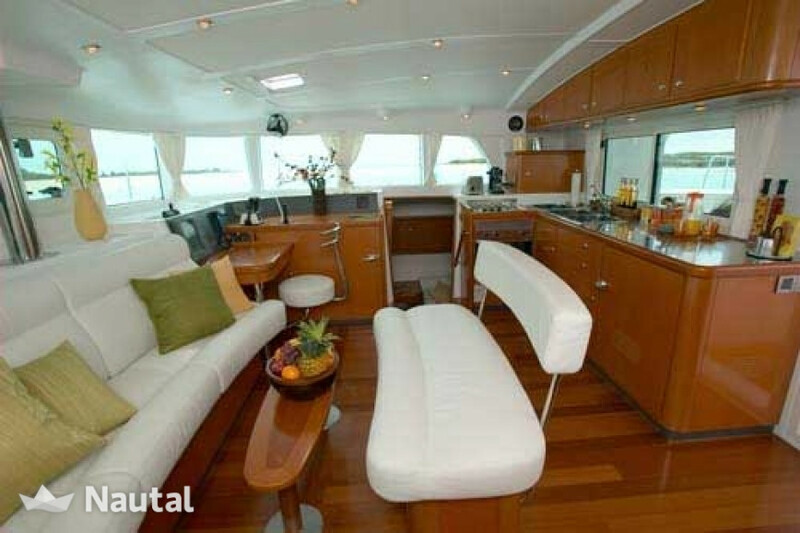 Also it gives a lot of indoor and outdoor livability thanks to its considerable sleeve. 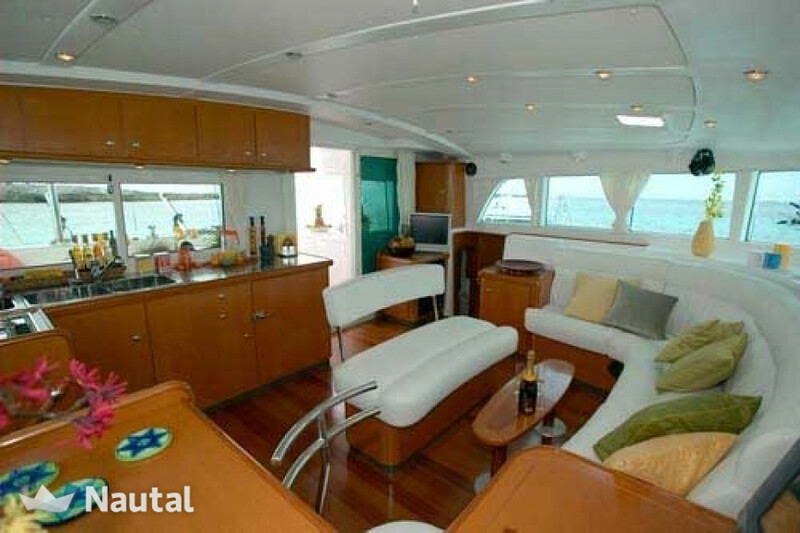 It emphasizes its spacious interior, with spacious cabins and a large living room ideal for relaxing. 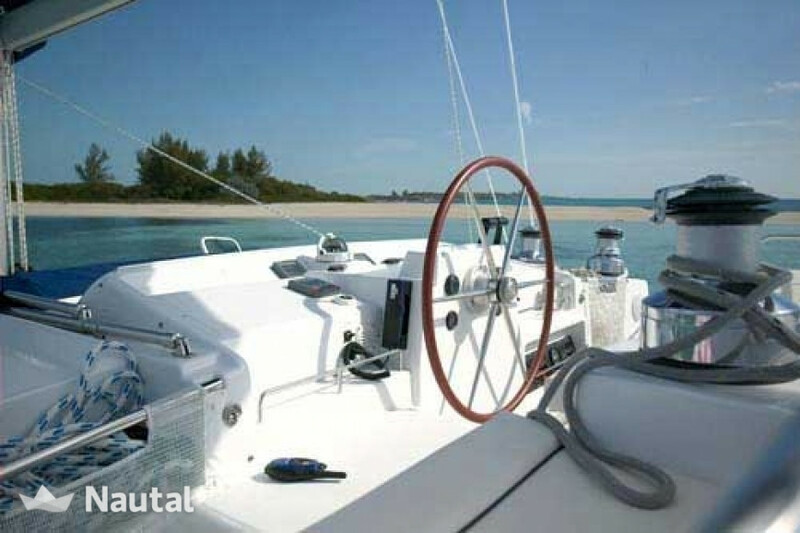 It has a very comfortable helm station perfect to steer the boat safely. 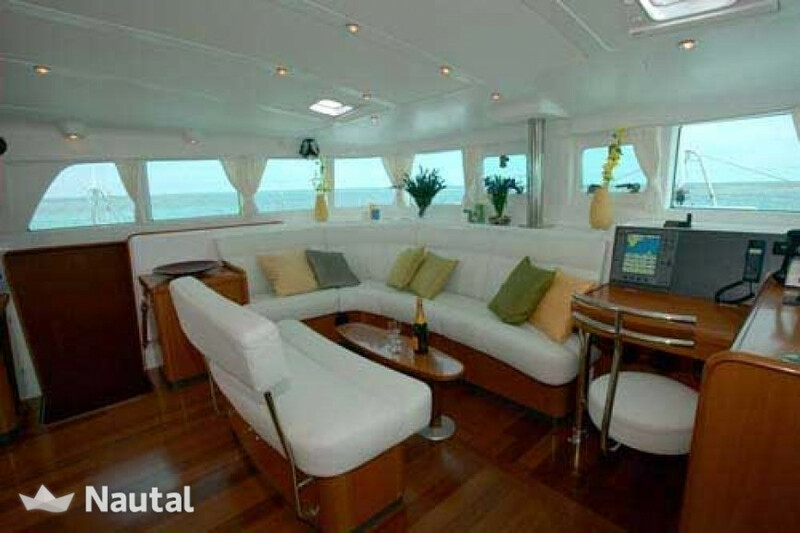 Externally, it highlights its large sun terrace designed for sunbathing and relaxing bow. 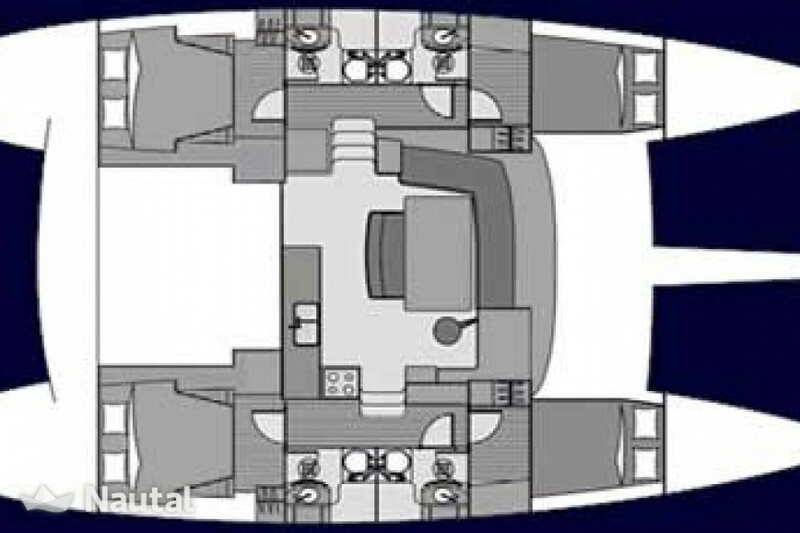 Also noteworthy is its stern, spacious and well integrated, designed to eat outside and to access water through their bathing platforms. 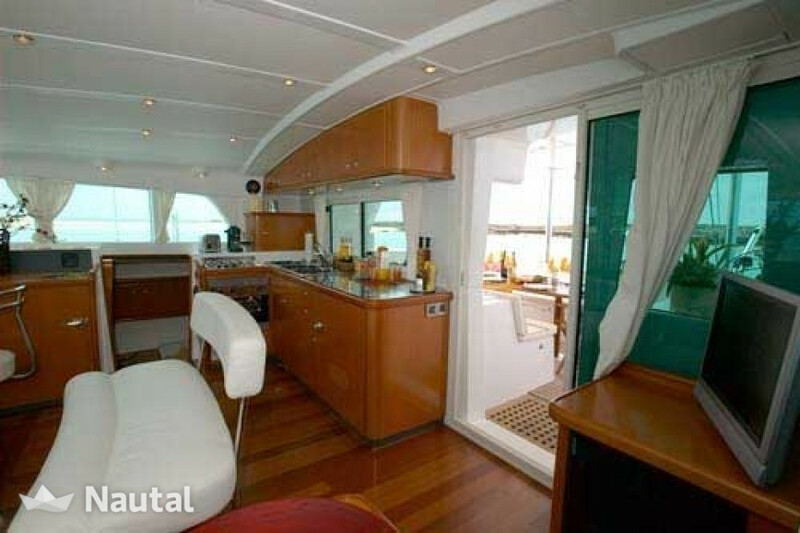 2 x 2 x 40 HP 80.00 HP H.P.